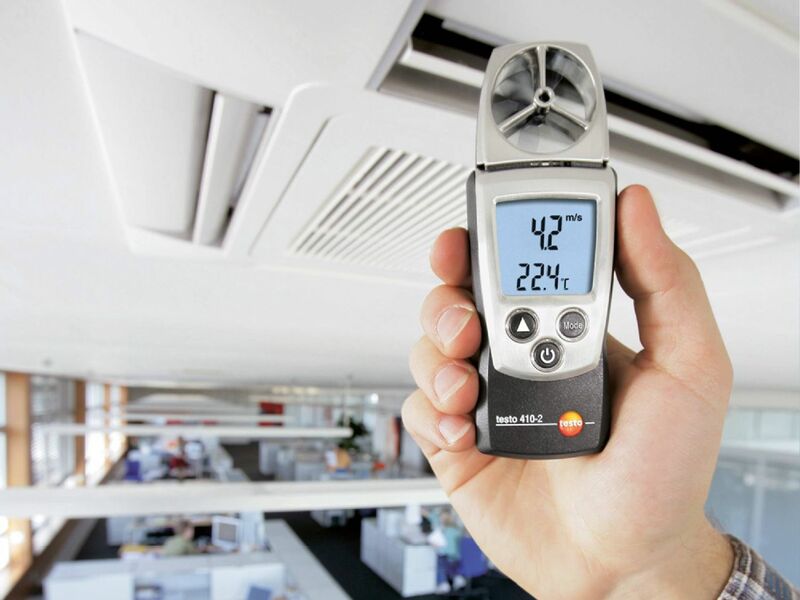 The vane anemometer is a classic wind speed meter which is now very commonly used, not only outdoors, but also indoors. 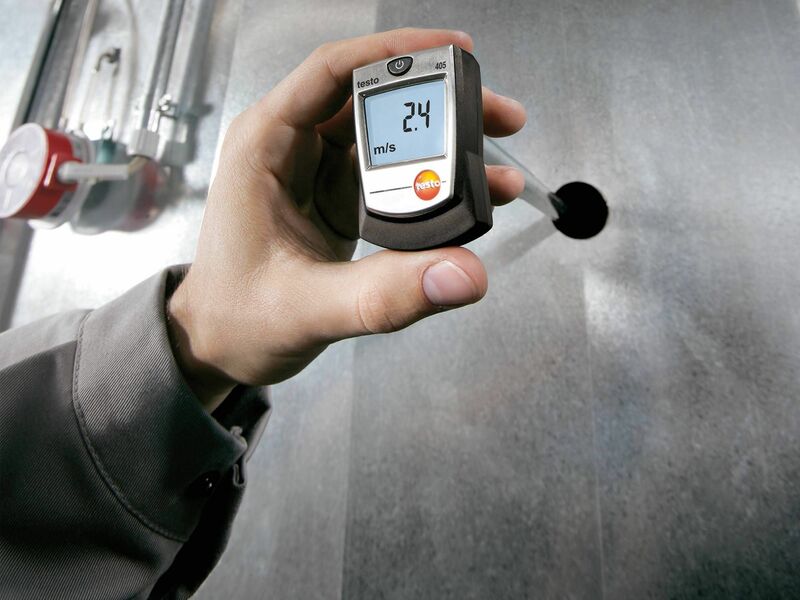 Easy handling makes it possible to measure airspeed quickly using the impeller anemometer. In addition to this, many of the instruments also have features enabling volume flow and temperatures to be recorded. This enables even easier analysis of the data and their comparison. With big or small vanes for flow and temperature measurements. 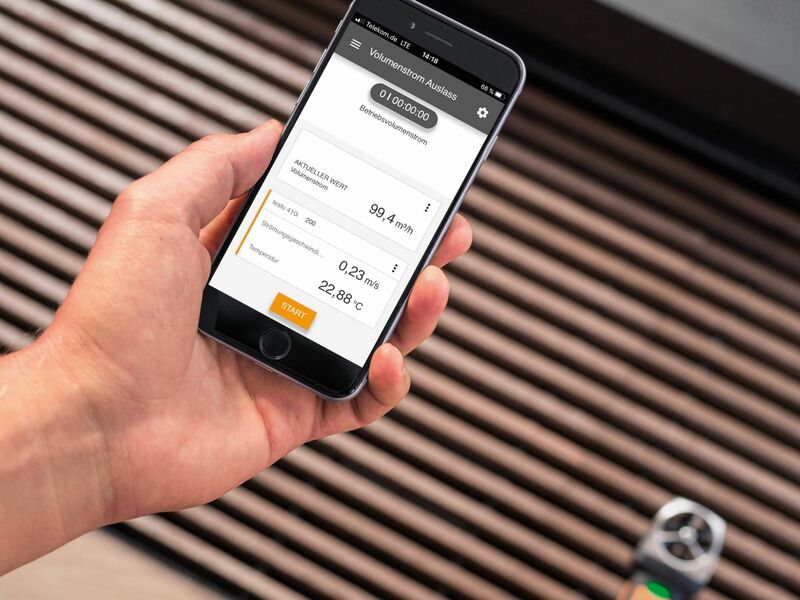 Vane anemometer optimised for the app and your smartphone/tablet. Measuring wind speed is a concept that many users associate above all with outdoor use. However, it is in fact not only outdoors that a wind speed meter is used. In particular, it may make sense to use one for the measurement of air velocities in rooms. 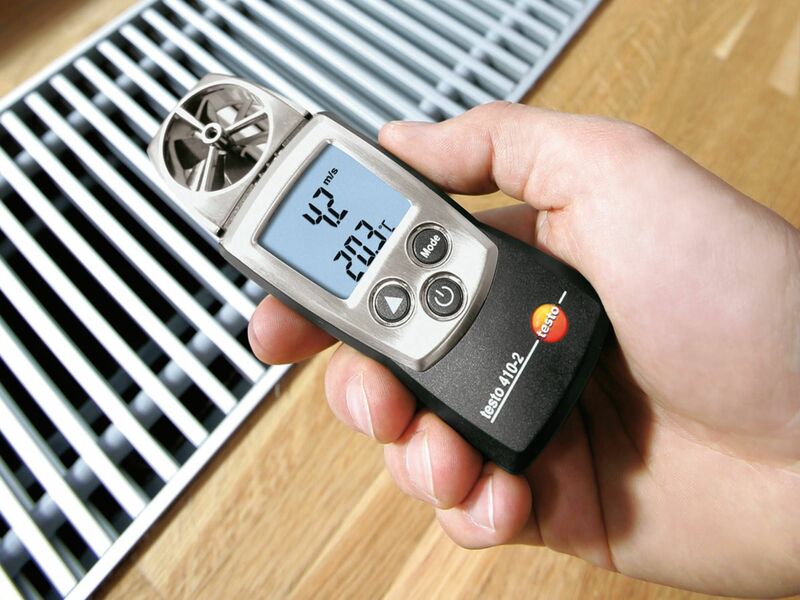 Ventilation systems are based on airspeed, temperature and humidity. If these values are not correct or change, it may affect the indoor air quality. The problem here is that it is not always easy to control ventilation systems. This is where the anemometer comes into its own. Depending on the design, it can very easily be inserted into the ventilation shaft via a telescope, so that it can carry out measurements there. The vane anemometer is ideally suited for this. Most models are fitted with a telescopic probe. 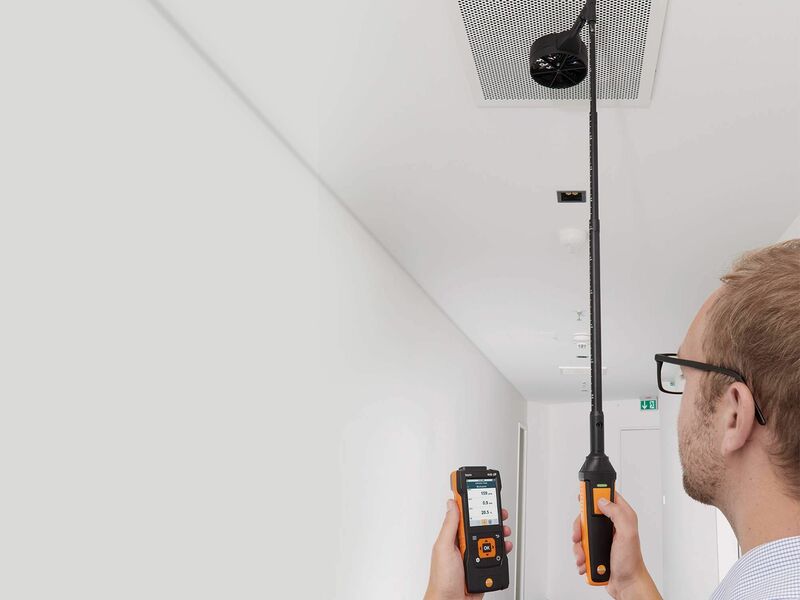 This makes it very easy to do a flow measurement in the duct. However, outdoor use is also possible. Depending on the instrument, you have the option of not just using the vane anemometer to measure wind speed. It can also be used as a flow measurement instrument. Some versions also have the possibility of measuring the dewpoint and wet bulb temperature, as well as wind speeds. These values, in combination with the airspeed and air temperature, can be very helpful and important for your analysis. You may be one of the users who would very much like to integrate the anemometer into an existing system and would therefore like to ensure that the measurements are directly transmitted. This is very easy to achieve if you decide on a model that can be connected to a smartphone. A special App enables the values to be forwarded directly to the smartphone via this connection. There, they can not only be read out, but also analyzed and compared with other measurements. This means you can quickly establish if there are changes in the air velocity which need to be readjusted. As briefly mentioned already, depending on the instrument, the vane anemometer is not only capable of measuring air velocity. Other measurement data can also be recorded by the anemometer. There are thus some versions which are able to measure airspeed, humidity and temperature. A combination of these data can provide information about important aspects. 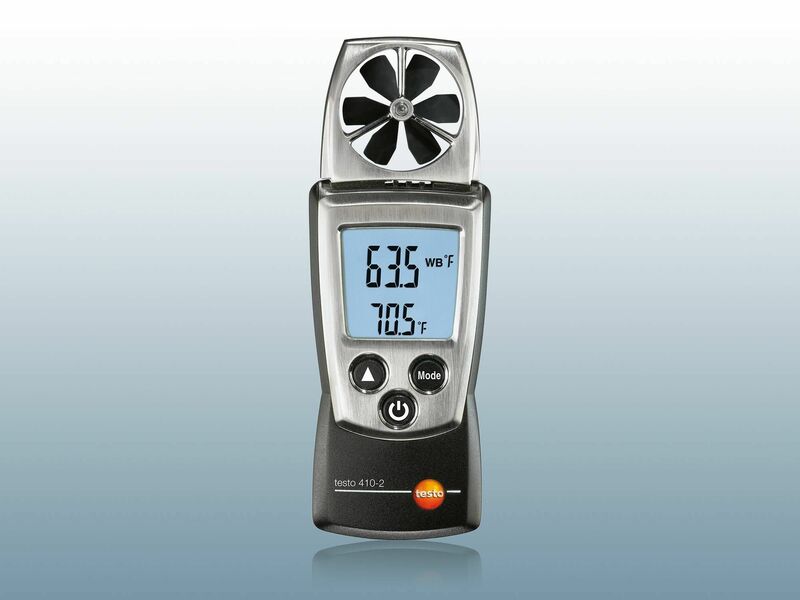 If you work in the air conditioning field or if you need more data, you can also decide on an anemometer that is able to determine the dewpoint. This means that sophisticated analyses are also possible. The vane anemometer can also very easily be used for spot measurements. These short measurements provide a quick overview of the required data. In addition, the instruments are also able to be used solely as wind meters in the outdoors. 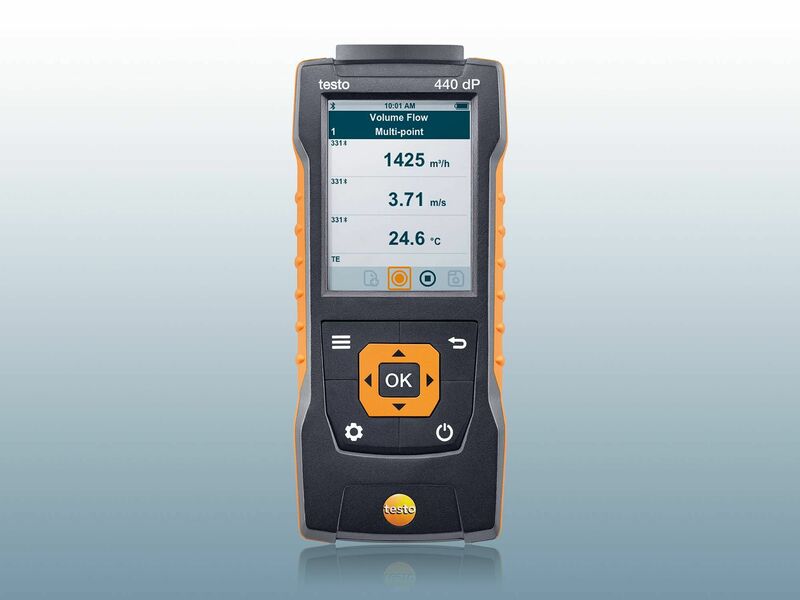 If you choose a model from Testo which you would like to use as a wind speed meter, you should get a version which is able to display a variety of units. Displays that show values in m/s, fpm, mph, km/h and kts are common. It is then possible to carry out Beaufort and windchill calculations based on these values. 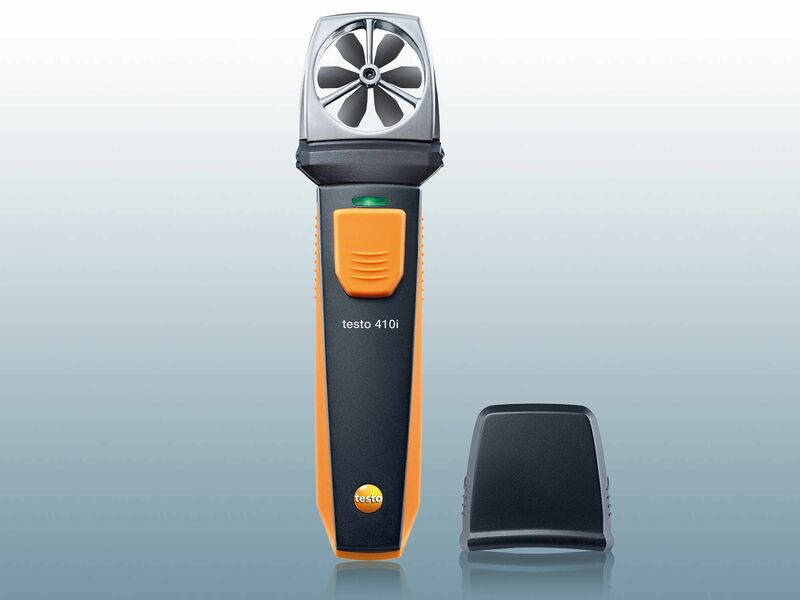 If you have found out all about the vane anemometer and if you have been able to establish that this type of wind speed meter is the best solution for your purposes, then you can now take your time to compare the individual instruments in Testo's range with one another. Handling and features, along with the measurement parameters and measurement options which are available to you, are important factors when it comes to making a choice. You can then carry out effective measurements with little effort.